Have you had Your Health Check up Done? Today's modern hi-tech life is all about comforts, but at the same time, it also accounts for the sheer rise in various lifestyle diseases. When we talk about lifestyle disease, it calls for the epidemic proportions of the cases, such as obesity, diabetes, stroke, cardiovascular diseases, arteriosclerosis, headache, tension, anxiety, hypertension, and other disorders. Lifestyle diseases are an outcome of the way we normally lead our day-to-day lives. The concept is increasing every day, that is - more and more work and no play, basically makes a man prone to various diseases, a couple of physical ailments as well as emotional issues. • The type of task we do on a regular basis. Some risk factors are called “non-modifiable’ because you cannot change them, like age, gender, family history of a disease, while other risk factors are called ”modifiable” because they can be changed or treated like smoking, diabetes, cholesterol, etc. There are a few lifestyle selections that can actually help you prevent and cut down the risk of acquiring any lifestyle disease. Why a preventive health check is important? While we are young, we feel invincible. But as we age, it all begins with random aches, pains and progresses to cholesterol increase, high blood pressure, diabetes and heart attack, to list the very few serious disorders. If we soon started caring about our health, most diseases can be prevented before they could even occur. • It protects you from not only the trouble of having to suffer through the symptoms of the disease, but it also saves money that you would otherwise be spending on hospital expenses. • There are many diseases and illnesses that have a better prognosis when diagnosed early. This is particularly true for chronic and terminal illnesses, such as diabetes, cancer, and heart attack. • Regular preventive health checkups help you find the best treatment alternatives as soon as possible, but also give you better chances of quickly recovering back to health. Despite the necessary care we take for our better health, uncertainties increase with our age, lifestyle and not to mention the habit to take our health for granted. Regular preventive health checkups can set a guideline for our health and help us keep tabs on how time progresses. For those who have major diseases running in their family, health checkups become crucial to have control or to slow down the progression of the disease and prepare a holistic approach to ensure a healthy future ahead. 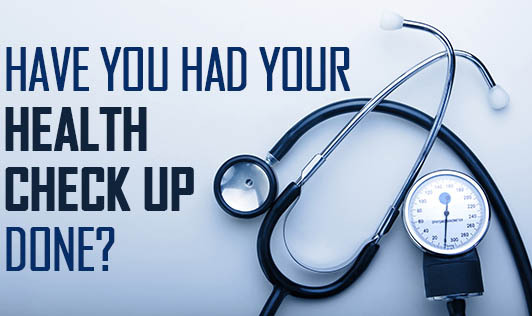 How often do you need a health check? If you’re under 30 and healthy – don’t smoke, no disease risk factors (including being overweight) and don’t take prescription medications - get a check-up every two to three years. If you’re a woman and sexually active, get a Pap smear to screen for cervical cancer starting at age 21 and discuss how often you should screen with your provider. Age 30-40, healthy individuals (don’t smoke, no disease risk factors (including being overweight) and don’t take prescription medications) should get a physical health check every other year. Baseline mammograms are recommended for women once they turn 40, and should be repeated every 1-2 years. Annual health check must start around age 50. Note: Different recommendations about check-up frequency apply to individuals who take medication and have chronic disease risk factors. In that case, more frequent checks may be recommended since blood tests may be necessary and treatments may need to be changed.